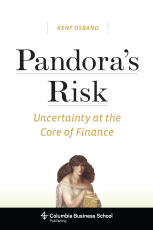 Author of the acclaimed work Iceberg Risk: An Adventure in Portfolio Theory, Kent Osband argues that uncertainty is central to finance. Markets don't trade mainly on changes in risk. They trade on changes in beliefs about risk, and in the process, markets unite, stretch, and occasionally defy beliefs. Recognizing this truth would make a world of difference in investing. Belittling uncertainty has created a rift between financial theory and practice and within finance theory itself, misguiding regulation and exaggerating safety. Sparking a revolution in investment risk analysis, Osband recasts the market as a learning machine rather than a knowledge machine. The market continually errs, corrects itself, and makes new errors. Respecting that process, without idolizing it, will promote wiser investment, trading, and regulation. With uncertainty embedded at its core, Osband's rational approach points to a finance theory worthy of twenty-first-century investing.